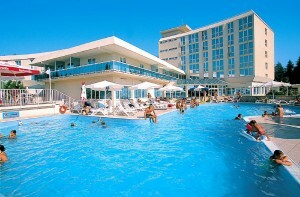 Hotel Laguna Park Porec **** is a part of Plava Laguna Tourist Resort. 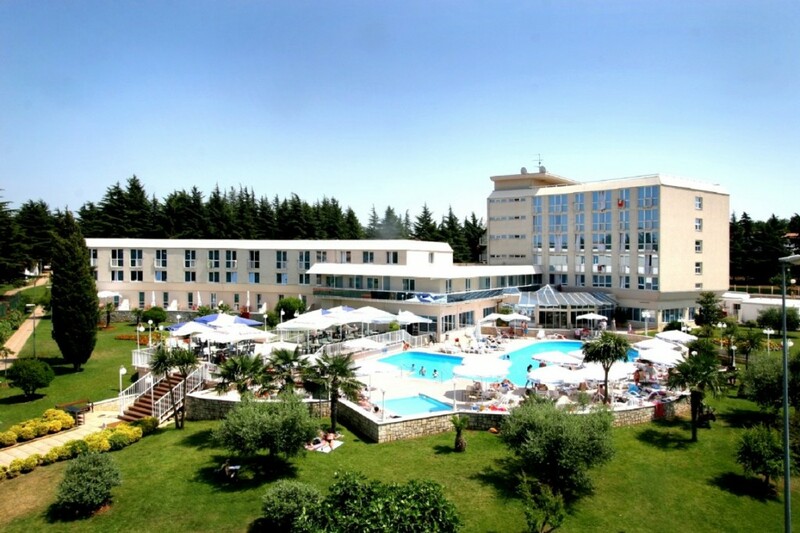 The Hotel is surrounded by pine forest, and is situated next to the beach, app. 2 km from center of Porec. It is perfect place for a family to spend their vacation due to many entertainment and sports facilities. As a special feature, the hotel offer a light all inclusive, which means a full board service including drinks for lunch and dinner. 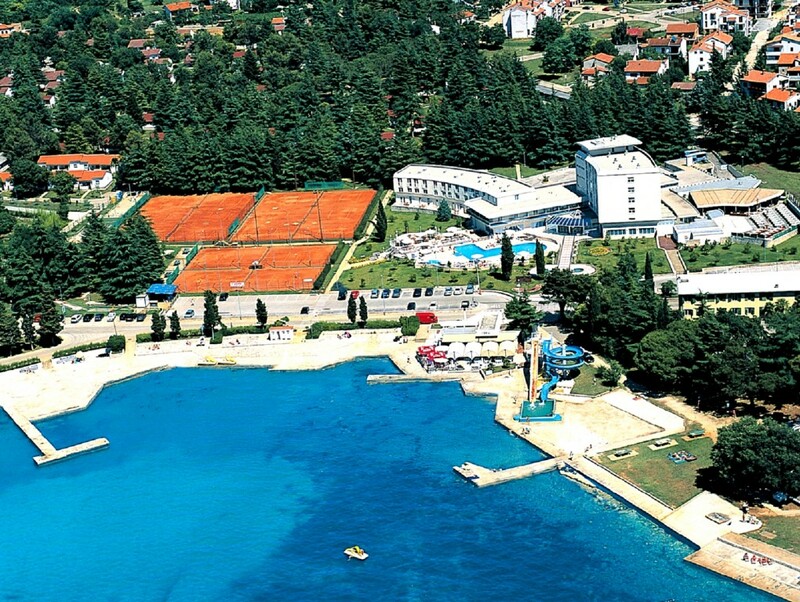 The centre of Porec can be reach by bus, which leaves in front of the hotel every 60 minutes, alternative is a 20 minutes walk along the waterside or a 5 minutes bike ride from the hotel. There are 124 rooms, all are equipped with air conditioning, direct dial telephone, Sat-TV, mini bar, safe deposit box, hairdryer, bathroom with shower and smoke detectors. Extra bed and baby cot are available upon request. Pets are not allowed. The room sizes vary starting from 13 m2 single room to a 67m2 suite with bed and living room. Not all rooms have balcony. Parking with surveillance is available upon additional charge. The culinary offer at the hotel includes a restaurant which serves local and international dishes, a special menu is offer for people with diabetes and vegetarians. Once a week a thematic dinner is served, during summer fishermen’s night is the culinary highlight. Drinks are served at the pool and snack bar during the day, in the evening the aperitif bar can be recommended. The Sport program/offer at Laguna park include well know sports like Tennis, table tennis, mini golf, volleyball, pedal boats and bicycles are all available on charge. Free of charge is beach volleyball. 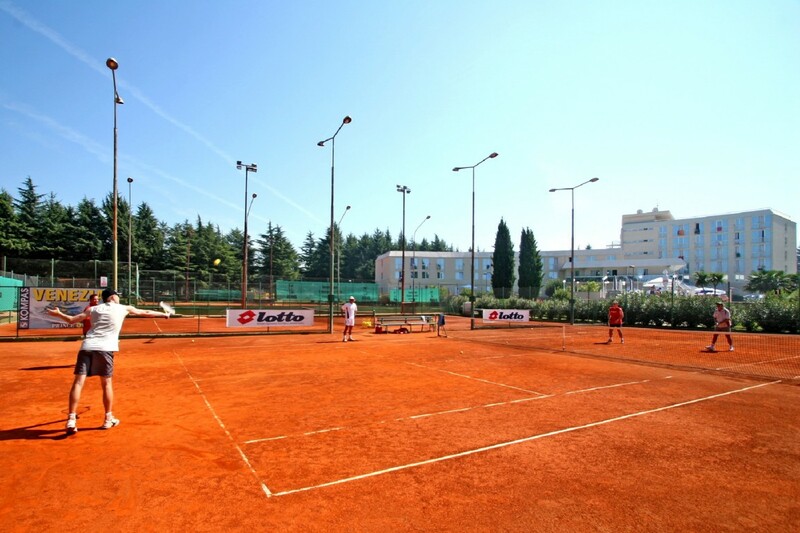 For the adults the hotel Park offers a daily program including morning gym and several sport activities like volleyball tournament, table tennis, darts or mini golf. In the evening the hotel animators has a variety of shows and music acts on the program.